McALLEN — American Airlines is expanding its footprint in South Texas and betting that the region will be able to support more flights, as the airline is adding daily service between Dallas and Harlingen and adding more routes between McAllen and Dallas. The airline is growing operations because of construction that will expand capacity at the Dallas-Fort Worth International Airport. In March, American Airlines will return to Harlingen for the first time since 2001, when it ceased operations after the 9/11 terror attacks. McAllen, meanwhile, has had six daily departing American Airlines flights per day, and that number will rise to eight per day, also beginning in March. Harlingen lured American to return to Valley International Airport through an airline incentive program in which the city paid American $834,000. The city also paid Frontier Airlines to service VIA, and the low-cost carrier began flying in and out of Harlingen last year. With American and Frontier on board in Harlingen, that brings the number of commercial airlines flying in and out of VIA to six, the four others being Southwest Airlines, United Airlines, Delta Airlines, and Sun Country Airlines. Some of those routes are seasonal, just as some routes in McAllen are seasonal. McAllen’s seasonal routes include the low cost carrier Allegiant Airlines flying between McAllen and Los Angeles and McAllen and Orlando, but not year-round. McAllen also has year-round routes with United Airlines and Aeromar, the Mexican airline that flies daily between McAllen and Mexico City. Allegiant also offers year-round flights to Las Vegas with frequency varying by season. McAllen, however, has not offered financial packages to recruit new airlines. Rodriguez said he understands any sort of financial incentive can be a recruiting tool for airlines, but it isn’t a need in McAllen. American Airlines is increasing its total capacity for passengers flying in and out of the Rio Grande Valley by 21 percent, according to Diio, a global airline database. Over the first six months of 2019, McAllen is expected to increase American Airlines passenger capacity by 11 percent while Brownsville is expected to increase by 4 percent over the same period. Liz Suarez, the McAllen aviation director, said the South Texas market for American Airlines has remained strong, and American is expected to be flying a larger aircraft into McAllen beginning in May. 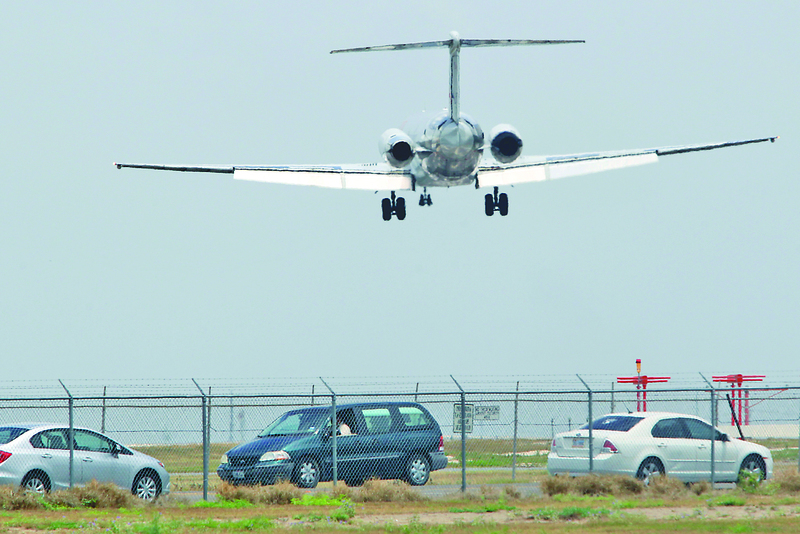 While the McAllen airport remains the busiest in the region, Harlingen has put significant money into boosting its airport. In addition to the incentives offered to American and Frontier Airlines, Harlingen is also nearing the end of a $12 million upgrade. But American Airlines, Koos said, intends to keep growing in South Texas. “Expansion in Harlingen and McAllen is part of our larger strategy to increase operations at DFW airport,” Koos said.